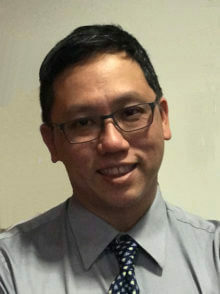 Dr. Geoffrey Nguyen is a Professor of Medicine and Clinician Scientist based at Mount Sinai Hospital (Toronto) whose clinical and research focus is healthcare delivery in inflammatory bowel disease (IBD) especially among vulnerable populations such as the elderly, transitioning pediatric IBD patients and pregnant women with IBD. He completed his medical training, fellowship, and PhD in clinical investigation at Johns Hopkins. He has been the lead author on several international IBD clinical practice guidelines and is the national lead for the Promoting Access and Care through Centres of Excellence (PACE) program, a network of 5 IBD Centres of Excellence in Canada sponsored by Crohn’s and Colitis Canada that strives to improve access and quality of care for all Canadians suffering from IBD. He also serves as Chair of the CINERGI group (Canadian IBD Network for Research and Growth in Quality Improvement) and Co-Chair of the Canadian Association of Gastroenterology’s Quality Affairs Innovation Committee.